“Ok, so keep your arms back. Come on keep those arms up”. Working on upper back stability but your client, just can’t seem to get their arms in the right place? Shoulders just don’t seem to be allowing it? 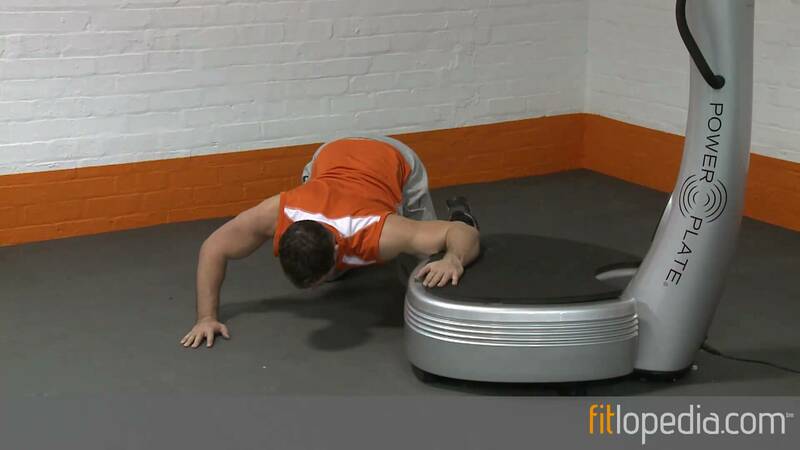 Then we may have a shoulder mobility issue and what’s the first rule when trying to work on stability? Mobility issues can hinder your client’s stability progressions, so it is best to fix the mobility issue first. “Great, so let’s get stretching! !” Well… Sometimes this isn’t always the answer. Stretching is often hastily prescribed for issues relating to tightness when we don't understand what is actually causing the restriction. Functional Movement Systems co-founder Gray Cook recently discussed this on a podcast with Mobility WOD's Kelly Starrett titled "Mobility vs Flexibility". Here's the 5 minute soundbite, it's worth a listen. Basically, Gray takes issue with professionals who lazily refer to all tightness as flexibility issues. Not only is it inaccurate, but it's also potentially dangerous. "if your lack of range of motion is demonstrated as a flexibility problem and you Google enough, you will find a lot of stretches that could damage your joints in the process of trying to lengthen muscles that are simply putting on brakes because you don't belong in that position." The mobility issue may actually benefit from some manual therapy. In manual therapy, practitioners use their hands to apply pressure to fascia and muscle tissue in an attempt to decrease pain caused by muscle spasm, decrease muscle tension and/or joint dysfunction. Being a sports massage therapist, I am able to use massage techniques in my training sessions, to assist with the mobility restrictions presented by my clients. I feel this is a huge benefit in my training programming as this helps my clients achieve a better, more well-rounded and functional workout when coming to see me. All too often we focus solely on the explosive and strength components of our athletes rather than the restoration of function first. This is a danger is self-programming your workout. Inevitably, we gravitate towards what we want to do, not what we should do. Kettlebell swings are more fun than rolling patterns. To me, "function" is the creation of proper mobility and stability patterns. Although this type of training is trending upwards in popularity, I think we can do a better job in delivering better foundational training. I see no reason to not have both manual/mobility work and stability work present in any given training session. My clients see the benefits of this immediately and ultimately are able to work to higher levels. 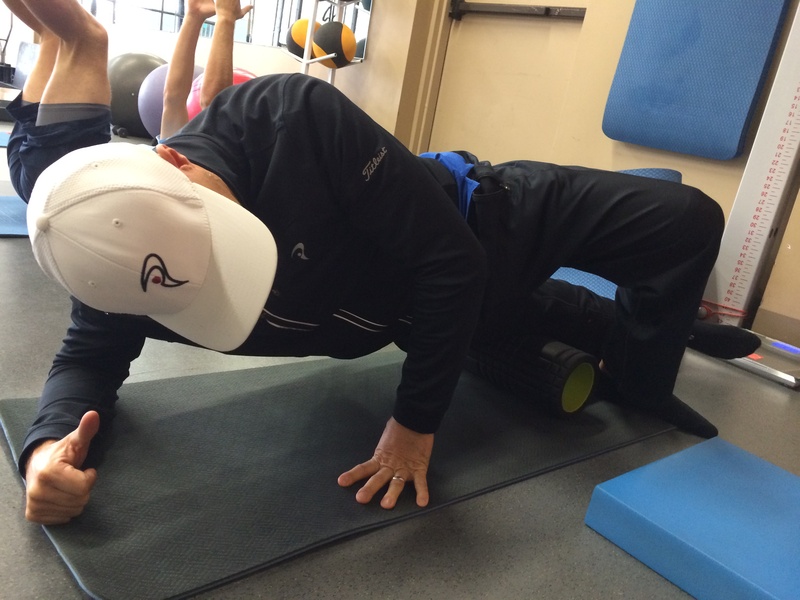 This allows me to get the results physically that the golf professional needs in a faster timeframe. Helps improve blood circulation, which aids recovery of muscle soreness from physical activity. Helps improve range of motion. Increases endorphin levels. Endorphins are chemically produced by the body that makes you feel good. Today is a scheduled strength day and we will be focusing on the lower body primarily. I feel that Pre & Post event massage is an excellent element to bring into this training session. A quick 5 min pre-event massage over calves, hamstrings and quads before you start them off on their dynamic warm up and foam rolling. Go through the strength components of the session. Then a post-event massage before the stretching and foam rolling – really helps to rid the muscles of lactic acid. Again, the key component is the marriage of the mobility concepts alongside the stability concepts. 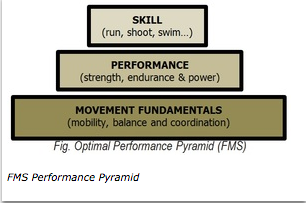 When done properly we are creating a solid base for power, speed, strength and coordination. Not to mention injury prevention and more athleticism. Foam Rolling is an incredible tool. More importantly, it's not cost-prohibitive and a potential at-home therapeutic technique. A recent study published in Medicine and Science in Sports and Exercise found that when used as a recovery tool foam rolling "was beneficial in attenuating muscle soreness while improving vertical jump height, muscle activation, and passive and dynamic ROM in comparison with control." Another study published in the Journal of Strength and Conditioning Research found that foam rolling before an activity had an immediate positive effect on mobility without decreasing strength. After just 2 minutes of foam rolling, subjects in an @NSCA study averaged 7-10 degrees of improved knee flexion. Vibrational based training has been used for a variety of different means, one of which has been to establish mobility. It is hypothesized (via much modern research) that the vibration stimulates the Golgi Tendon Organs and Muscle Spindles within the body to allow for a decrease in muscle tone which then in turn helps increase mobility. There are some research platforms that have shown standard static stretching to be equivalent to vibrational training with regards to impacting muscle tone and mobility. However the end result is an actual increase in the mobility of the area being trained. So that got me thinking, Why not incorporate both at same time and then add a dynamic component to it all. At the appropriate time, static stretching is very beneficial to athletes and can be very productive. So I have been using the static, dynamic and vibration components with my athletes for some time now getting great results in mobility. And as we all know, Mobility is the precursor for explosive speed and power. Without it, you are handcuffed and limited in what you can accomplish. Continuing on with my theme of mobility, I find it very relevant to talk about a section of the body that still remains quite an under-trained region. The foot and ankle complex. In most sports the ankle/foot is the only thing that comes in contact with the ground (hopefully!!!). In the sport of golf that is highly the case and we need to place a bigger focus on ankle mobility as it directly impacts the kinematics of the golf swing. Additionally, assessing ankle mobility is important for understanding the potential of your swing and even proper equipment. If you have poor ankle mobility you probably shouldn't wear a minimal golf shoe bc the lack of heel lift exasperates limited dorsiflexion. Manual Therapy is also great to be used on a regular basis, to keep your clients mobile and also feeling good. Our bodies change daily and it is wise to heed; Just because we are mobile today, doesn’t guarantee that same fact tomorrow. Life comes at us fast and hard, and our bodies take a beating out there. WE need to continually assess for mobility and stability patterns with our clients so that we know exactly where the movement corrections need to be placed. Kayleigh Franklin Has been in the Fitness Industry for over 10 years. She is a TPI Level 2 Fitness & Medical Professional, Advanced Personal Trainer, Sports Massage Therapist, NCSR Spinning Instructor, & Kettlebells Instructor. Great article! Thank you for acknowledging MT/body workers and a role they can play on a TPI team. Do you know what track a massage therapist can go about continuing their TPI focus and will those CEUs be applied toward our MT licensure?